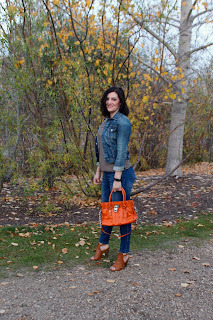 Canadian Tuxedo... We hear that all the time. 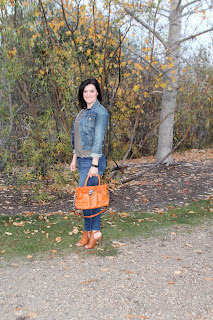 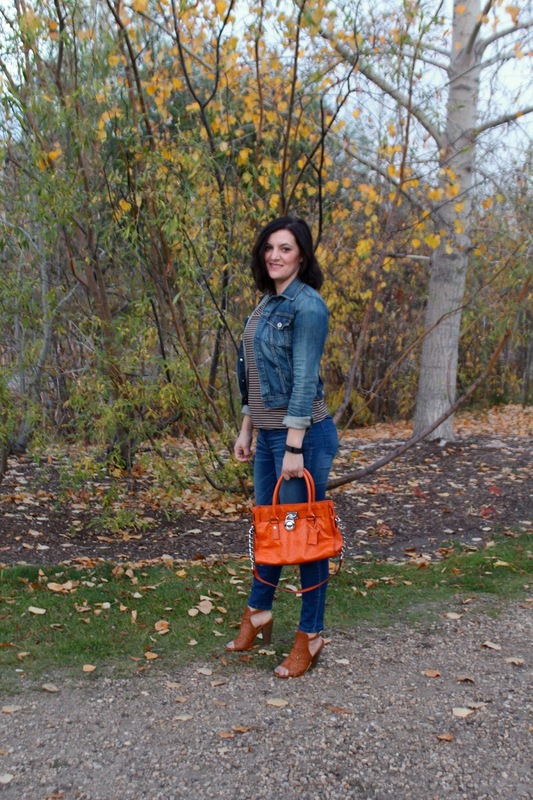 If you are one of those fashion gifted individuals who understands that denim on denim, you know that is not only a fashion statement, but a way of life. See what I did there? 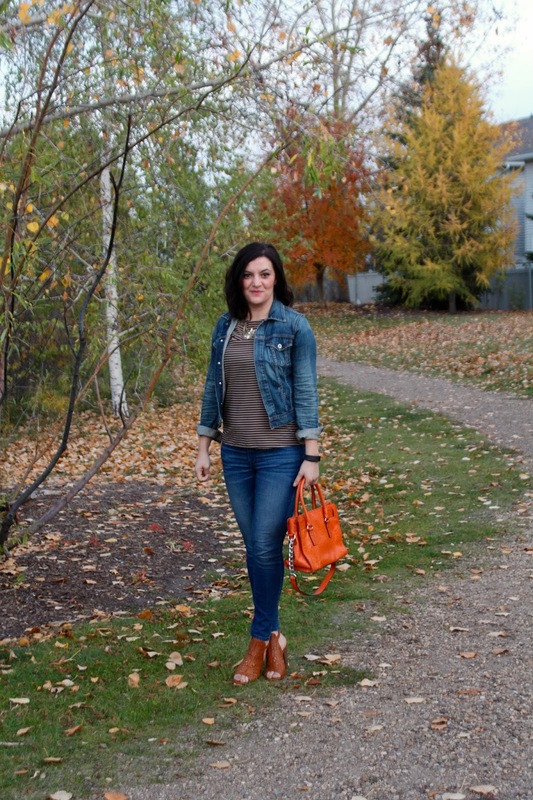 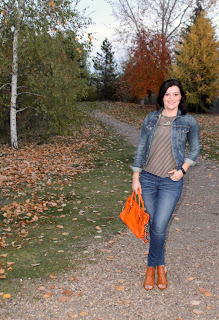 I love wearing denim on denim; easy to wear and comfortable. 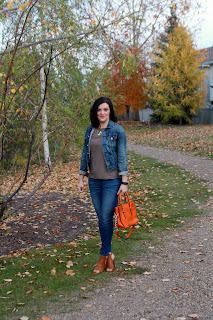 I paired my favourite pair of jeans with this denim jacket. 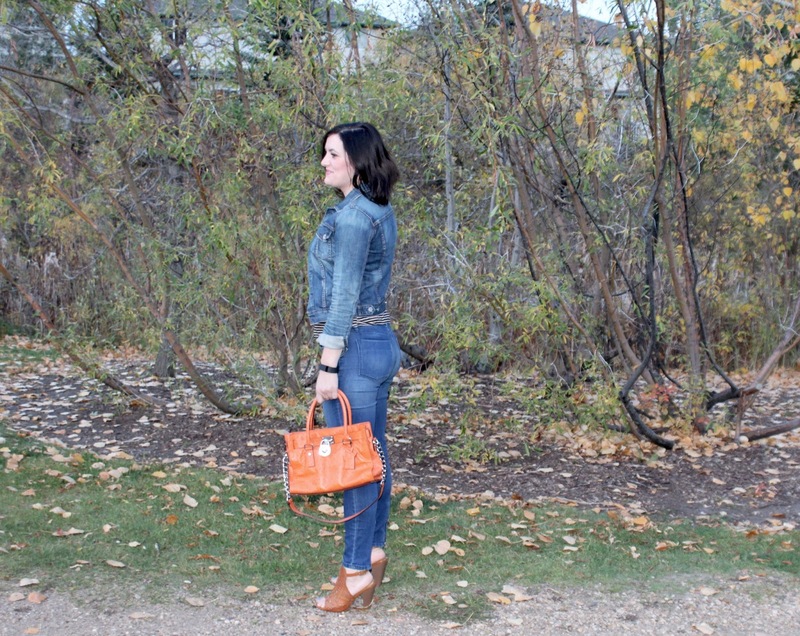 I know not a truly Canadian Tuxedo but I think it counts right?